The apartments and rooms have private entrances and are equipped with independent heating and bed and bath linen. Cleaning and linen change are made weekly. 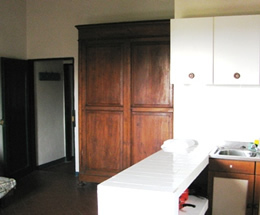 In the kitchen of the apartments you can find: sink, refrigerator, stove, dishes, table and chairs. 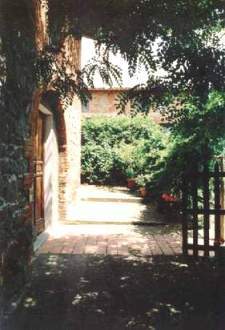 Are available to our guests: barbecue, wood oven, communal washing machine, parking, wireless internet, common and reading room with big fireplace, garden for relax. Animals are allowed. 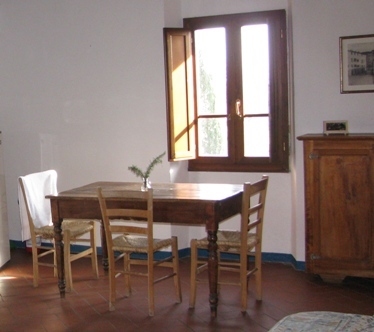 Facilities: bathroom with hot shower, sink for cleaning dishes, possibility of electricity connection and lighting at night, communal washing machine, barbecue and wood oven, parking, common and reading room with a big fireplace.